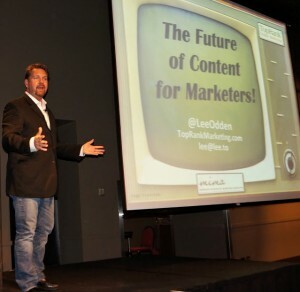 If you answered yes to these questions – then you’re ready to get started preparing for the future of content, he said. Those lacking any type of content may be struggling with creativity, budget, resources, or any other of the myriad of reasons people put content on the back burner. It’s critical at this point, though, that brands are able to reach out to customers and prospects not only with the advertising messages they want to get across, but with content that addresses the needs of their users. 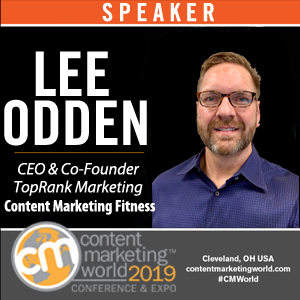 The first step in the creation of great content, Odden said, is understanding your customer’s journey from discovery, to consideration, to purchase and beyond. 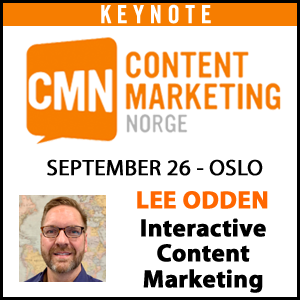 Odden went on to discuss three critical questions which will impact your content strategy moving forward. 1: What do we really mean by content? This is a tricky question and content thought leaders are divided. Odden recently polled marketers on the definition of content and received a wide variety of responses. At a basic level, content is something that motivates a user to take action, Odden explained. What does your content cause your audience to do? He recommends marketers get started by analyzing the customer information journey. Discovers. Think about how your customer finds content. 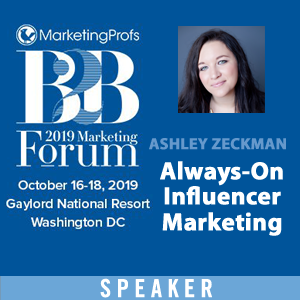 Create information that is good enough to share, because social network recommendations are becoming as important as Google when it comes to discovery. Consumes. Rather than just focusing on utility, differentiate yourself through stories that connect with the customer on an emotional level and encourage them to consume content by fostering a personal connection with your brand. Acts. Create content with the objective of driving a profitable customer action. 2: How are content teams structured in organizations? 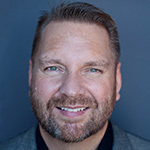 Lee Odden refers to Altimeter’s Content Marketing Maturity Model as a starting point for brands in examining the state of their existing content strategy. Content impacts an organization on all levels, but companies have very different strategies and organizational hierarchies, especially in this newer and oft-misunderstood industry. Whether barely getting started or moving towards a refined content strategy, all companies must examine how their content teams should be structured. The future of content means creating a team which can fulfill all of these functions. Content teams should be organized by function, rather than siloed by subject matter. Brands will need to learn to identify inefficiencies, as well as opportunities for improved performance. You may not have a dedicated resource for each of these roles, but as the content world continues to advance, they must be filled with skilled practitioners in order to achieve your status as a high performance content organization. 3. 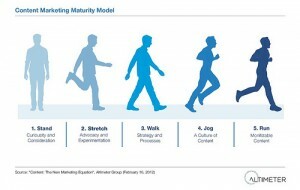 What content marketing trends are emerging? Converged Media: Creating a consistent source of digital media across platforms, including paid (ads) , owned (corporate content) and earned media (organic) is becoming increasingly important. Customers want to have a consistent experience wherever they interact with your content. Storytelling & Media 360: Creating your brand story is vital in connecting with your customers. That brand story should filter across all channels, mobile, TV, print, display ads, corporate content, etc. Visual: Consumers are 44% more likely to engage with brands if they post pictures than any other media. Creating the type of content that your consumers want to view is going to increase your share-ability. Adaptive – Real-time: Content which takes advantage of trending topics. The example of the Oreo campaign “You can still dunk in the dark” is a great example. Capitalizing on stories your audience is interested is a great strategy. Utility: Creating content that is useful for your core audience is still going to be key to companies in the future. Brands should focus less on content that is about them and more on what they can offer to their audience. Human/Humor: We know that most audiences like to laugh. Smart brands create content which resonates with the human side of their audience through humor. Collaborative: Content will become more collaborative in the future. Collaboration between customers and companies, within the customer community or between brands makes content more valuable and more share-able. Social media makes collaboration easier than ever and this will continue to impact the future of content. Co-Creation: Co-created content gives social incentives for the people who helped create the content to promote it. Co-creation is smart because it aids in amplification and interest within a piece of content. Mobile: Mobile continues to grow at a rapid rate and will have a huge impact on content strategy moving forward. Not only does mobile offer a lot of utility for the user, it’s the platform that they are using most frequently throughout their day. You can do anything from a mobile device – rent a car, file your taxes, order room services or request a taxi pickup. This makes mobile a very important piece of the content puzzle. Search & Social Integration: Integrating your search and social strategies will become even more vital in the future. Given the increasing impact of Google+ in search results, and the importance of the social network in buying decisions means that social must be an important part of the amplification of your content. In order to be successful in the future, brands must understand where content fits into their organization and moreover, in their customer’s purchasing journey. They can then structure their content teams accordingly. 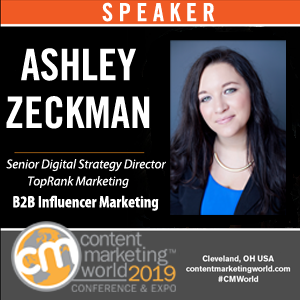 Content marketing allows brands to connect with their audience in increasingly meaningful ways and this is a trend that will only continue to grow, allowing that relationship to deepen. Brand content strategies must evolve, to the point they are creating content that resonates with their target audience and is optimized for their specific discovery, consumption and action. 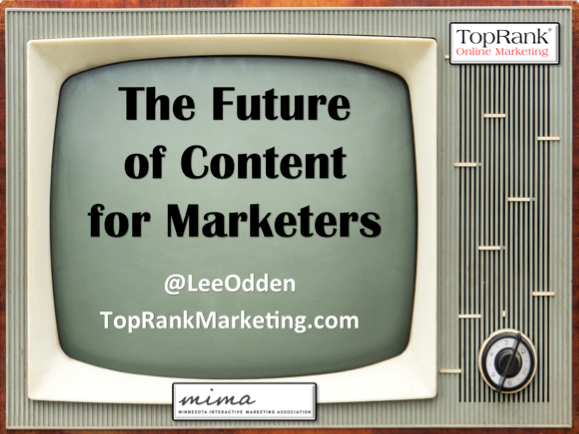 How are you preparing for the future of content? Share your thoughts and tips in the comments. Lots of information in this post! Thank you. As a marketing leader in a large B2B firm, I echo #2 on your hit parade. We are making great strides to include all of these functions in our content marketing organization. The balancing act in a large company is to create the right organization and content, without eliminating the creativity that comes from elsewhere in the company. We at SAS are making progress with highly matrixed teams with shared objectives. That’s great news Deb! Without a solid team structure, it’s almost impossible to scale in a meaningful way. Finding the right mix that allows for process and creativity is indeed, a challenge. Thanks for sharing this post! Very useful points discussed about content marketing optimization. As it’s looking more and more like Google authorship will lead to Author Rank benefits, it will be interesting to see how organizations and content management professionals react to the need for corporate and personal brands to intersect. Will a brand trust a content manager as a “face” of the company? Will a content manager be willing to let his employer’s story influence his personal brand and to what extent? Joel, that is indeed an important question for companies to consider. It’s not so dissimilar than other employee social channel participation though. Decisions need to be made about personal vs. professional and branded social accounts including G+ for authorship. This is a great post. One of the most informative pieces I’ve come across recently on content. The truth is it’s not easy finding one place to find a lot of rich information on content, let alone something that gives you some emerging trends. Well done!